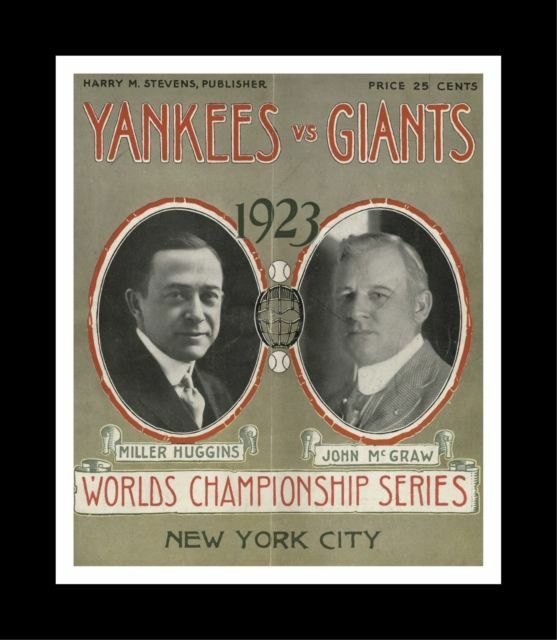 1923 World Series program. Shows heavy throughout: center roster pages are loose but present; there is a vertical center crease that runs from top to bottom; cover scuffing; spine separation in spots. Not scored. Lesser condition. Full and complete.